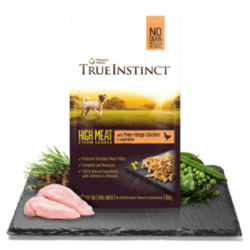 Ingredients: Angus Beef 70%, Fruit, Veg & Botanicals 30%,. 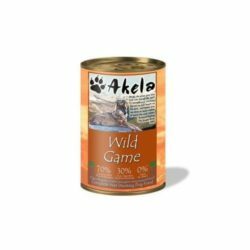 The Akela Grain Free Complete Working Dog Food also contains Valerian and Chamomile, which can help to calm and soothe, Cranberries which are rich in vitamins and good for urinary health, and Glucosmine, rosehips and Chondroitin which can aid in joint health and function. 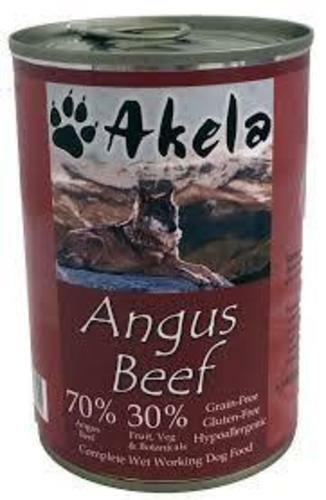 Ingredients: Angus Beef 70%, Fruit, Veg & Botanicals 30%. 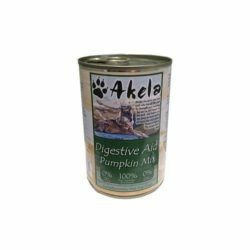 cranberries, blueberries, coconut, asparagus, carrots, green beans, minerals, seaweed, valerian, camomile, marjoram, nettle, watercress, basil, sage, dill,green tea, aloe vera, rosehip, borage oil, prebiotic FOS, joint support: glucosamine, chondroitin sulphate.